Arch Viz artists seem to be among those that are at the foremost in adapting Blender into their workflow. What factors are involved? 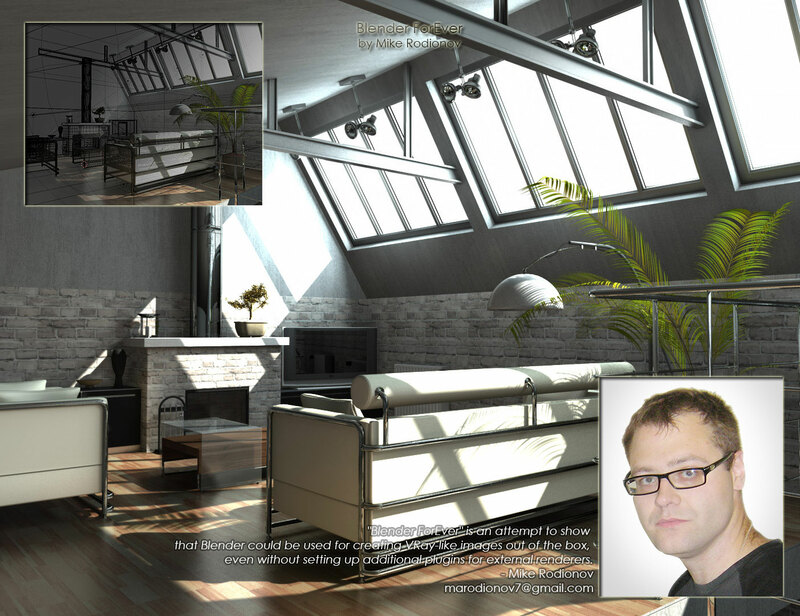 Where can you find a competent Arch Viz artist You might find the answers in the arts and comments made by the following artist, one of many that are scheduled to be featured in this series. My name is Mike Rodionov. I'm a 3d artist working in Arch Viz for 8 years. I started with 3dsmax, but because of it's bugs, I switched to Blender and now I do my job with Blender in Blender Internal - the fastest and most flexible renderer for Blender. Once I switched to Blender, I've found that it is much more stable than MAX. MAX's error message can be really frustrating when you are working. 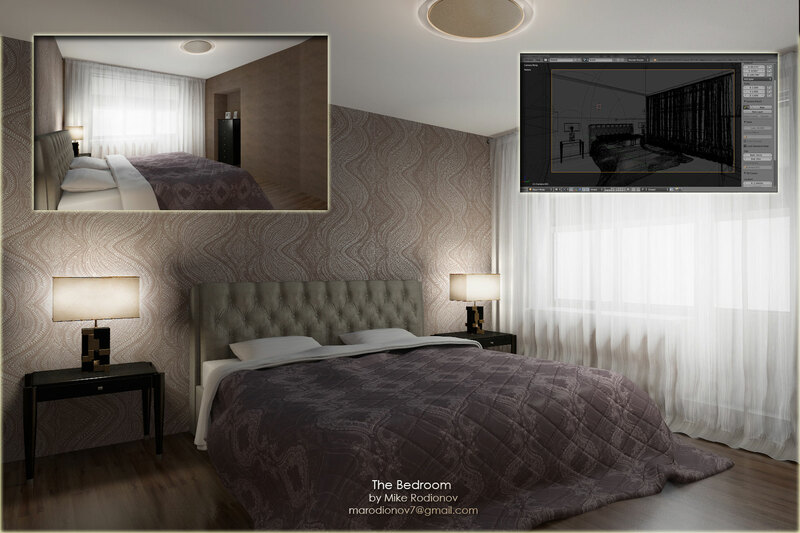 "Bedroom" is just another commercial work for a client. The scene was completed in one day and rendered for one night, additional touch-ups took about 3 hours.